click here to see Kassa her brother Ernie,and our fight with Oesteosarcoma. 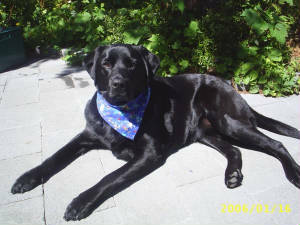 Two families had to say goodbye to their precious Labs this year. Loving thoughts and hugs to both. This site was done in 2002 so family touring overseas could see the progress of Kassa, who was 3 months old when they left. In 2004 Kassa was diagnosed with Oesteosarcoma of the jaw. She bravely fought for 10 months. 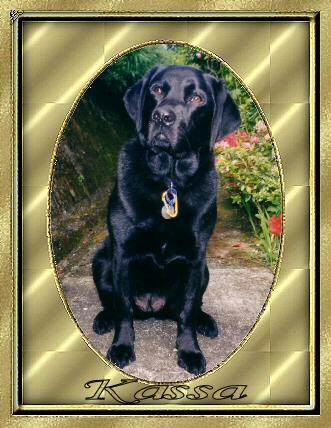 On the 9th February 2005 I helped her cross the rainbow bridge. 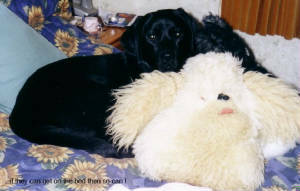 Run free my precious Black Labrador. 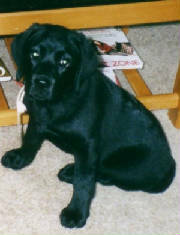 In April 2005 her litter mate Ernie came to live with me. I share him with Feng Yang and Soh Hoon.With heavy hearts they had to leave him in New Zealand when they went back to Singapore after 3 years with the Singapore embassy. a place where Feng Yang and Soh Hoon can come and see their beloved Ernie. This photo was taken in December 2004. Ernie on the left and Kassa on the right. soh Hoon and I were having afternoon tea and they put their heads through a window looking for food. They looked so lovely together. It was a special moment which I will always treasure. 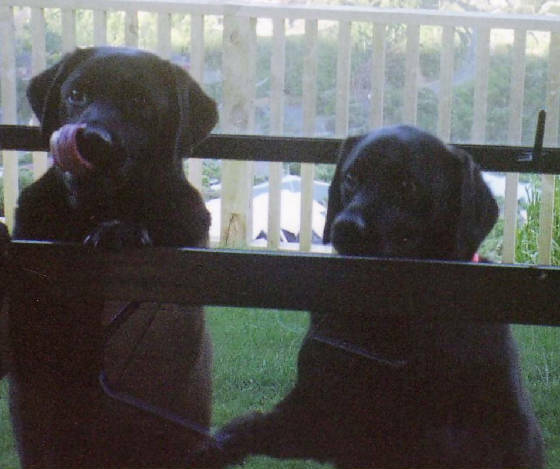 typical Labs...always hungry...Ernie can taste it already.